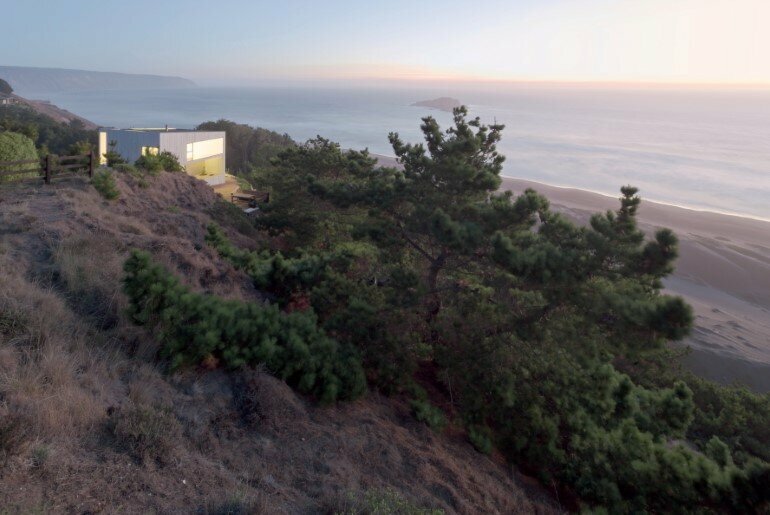 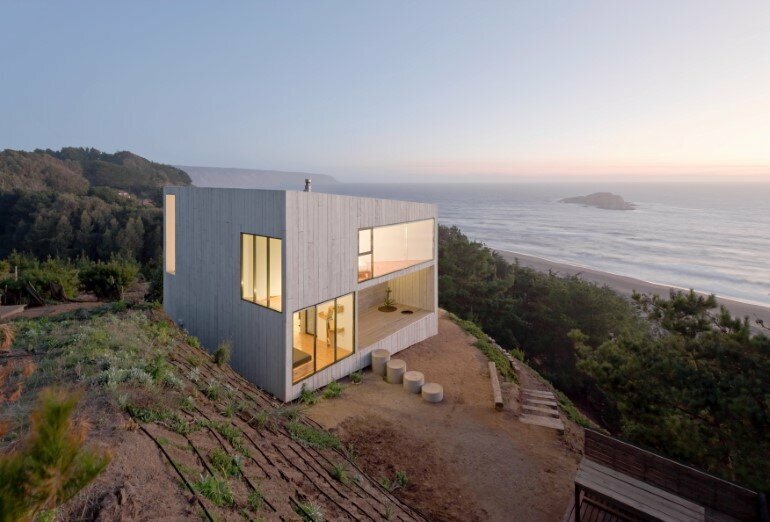 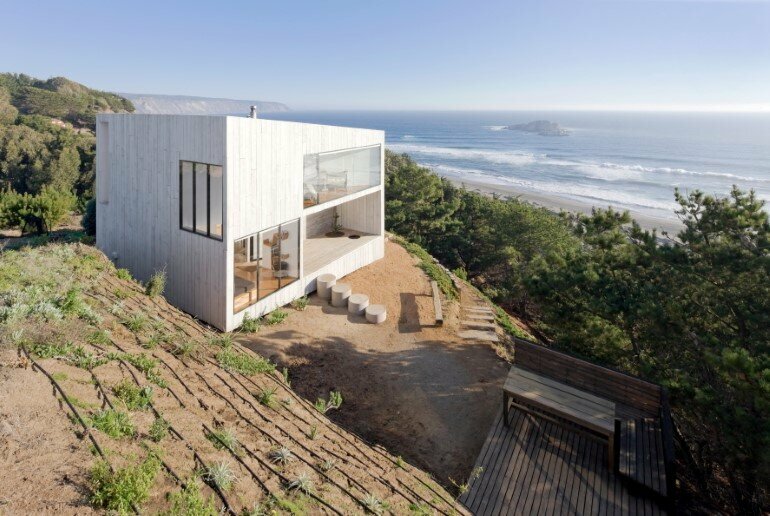 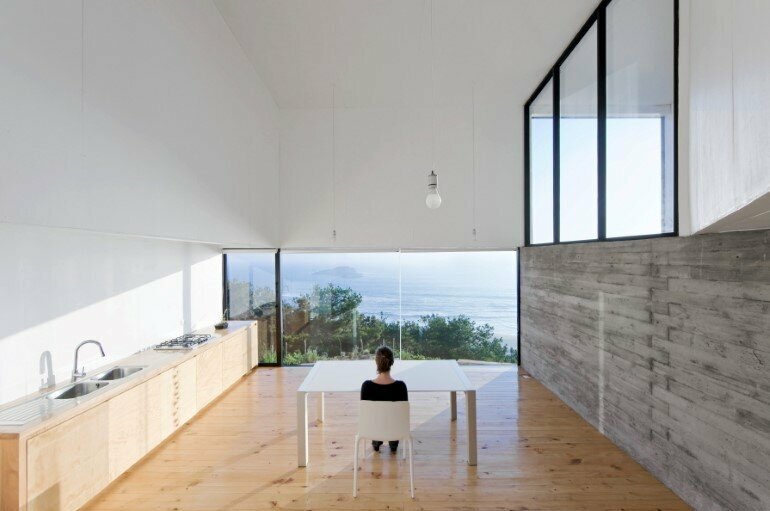 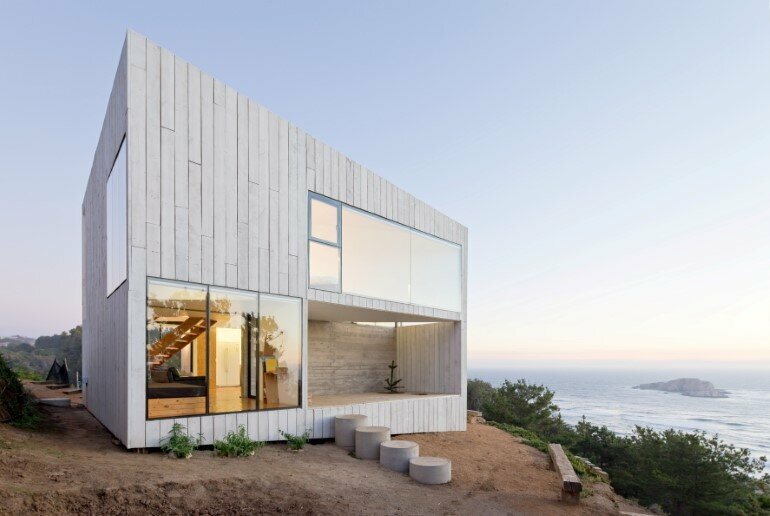 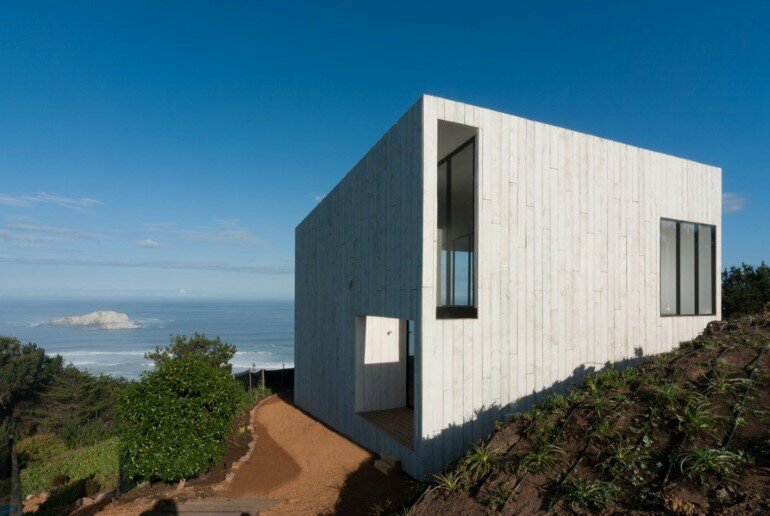 Located on the coast of Chile, D House was designed by Panorama Arquitectos in collaboration with WMR Arquitectos. 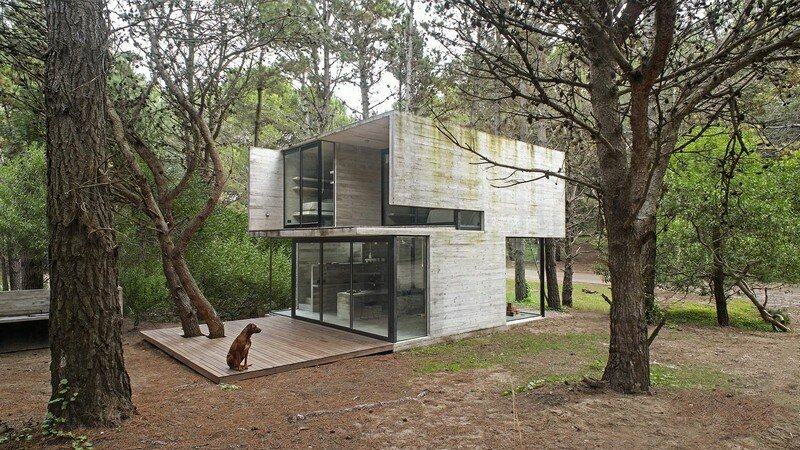 This house in Matanzas is situated at the top of a cliff, 65 mts. 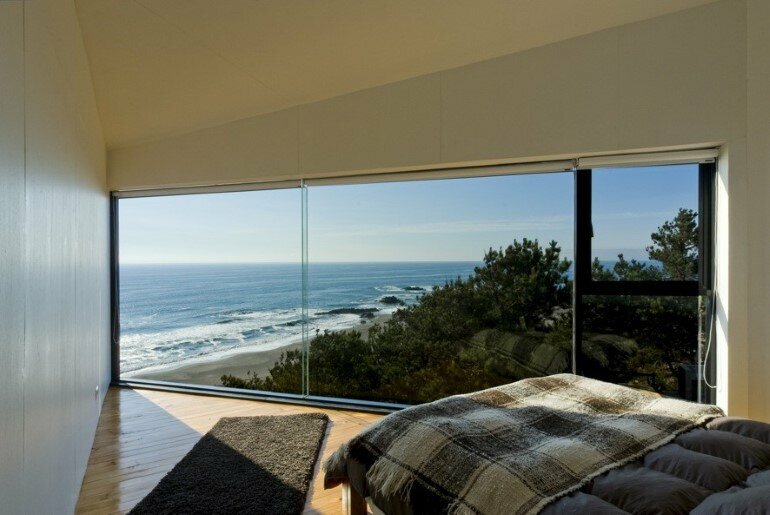 approximately above sea level. 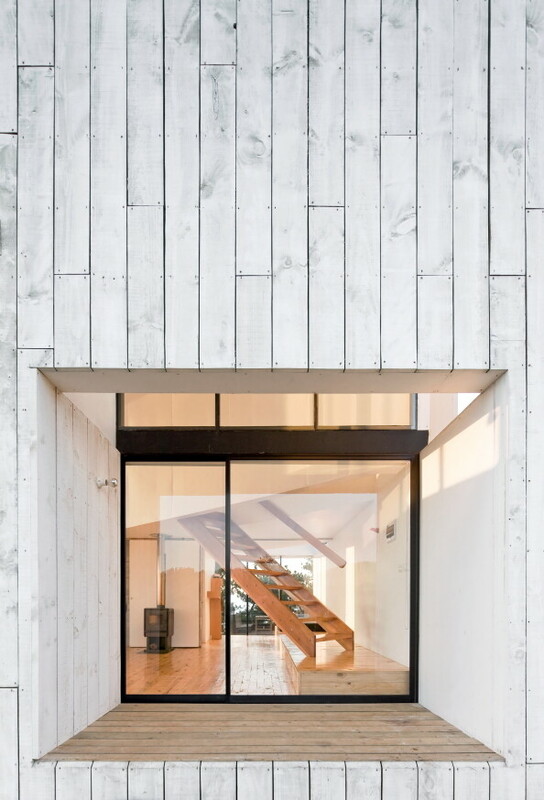 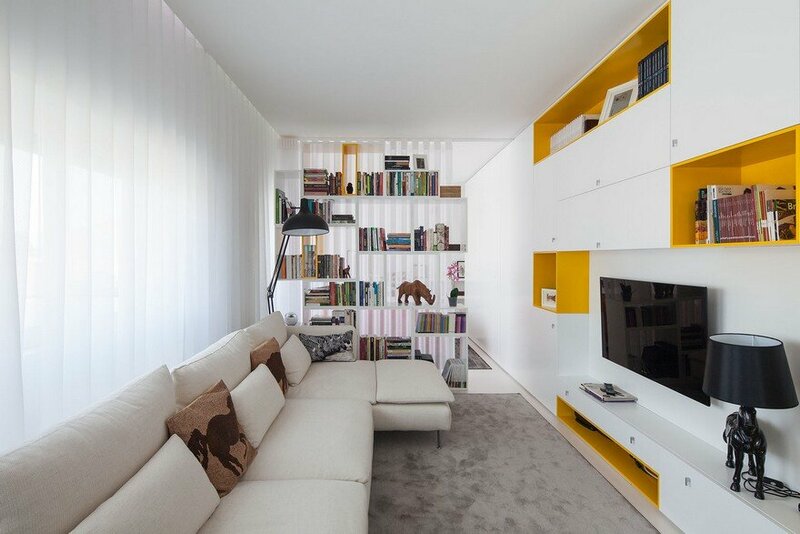 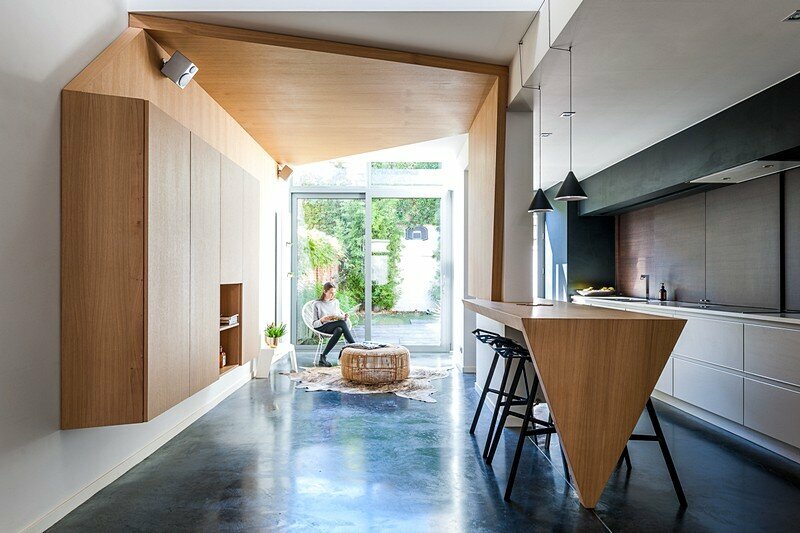 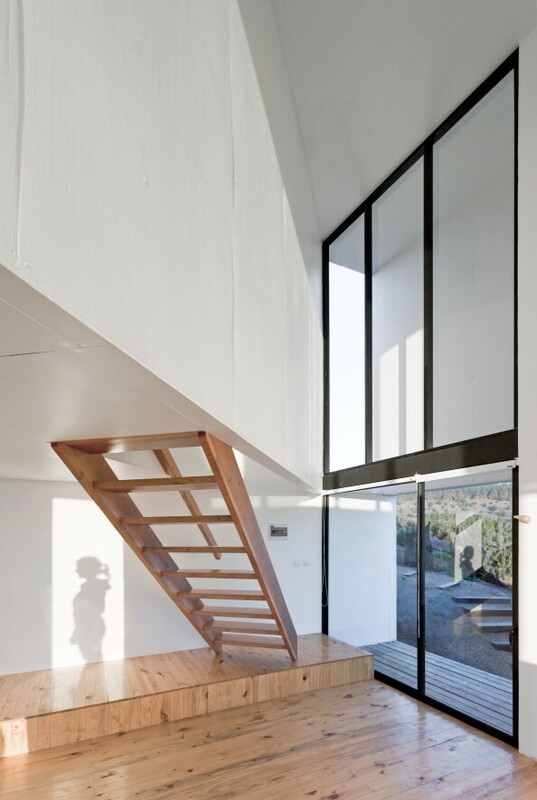 From the architect: A two storey house, for a couple and their son, is structured within a square volume of 9 by 9mts. 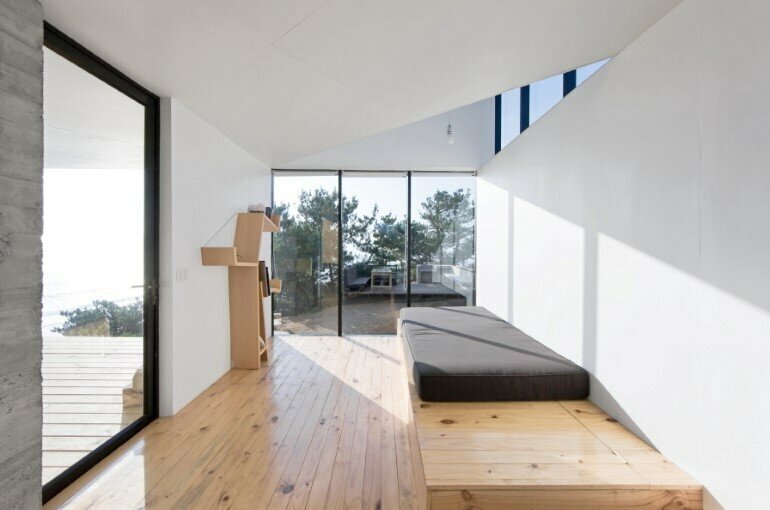 Inside intersects another volume at a higher level, which is rotated 45 degrees in relation to the floor plan, allowing double heights and the arrangement of spaces in the first floor. 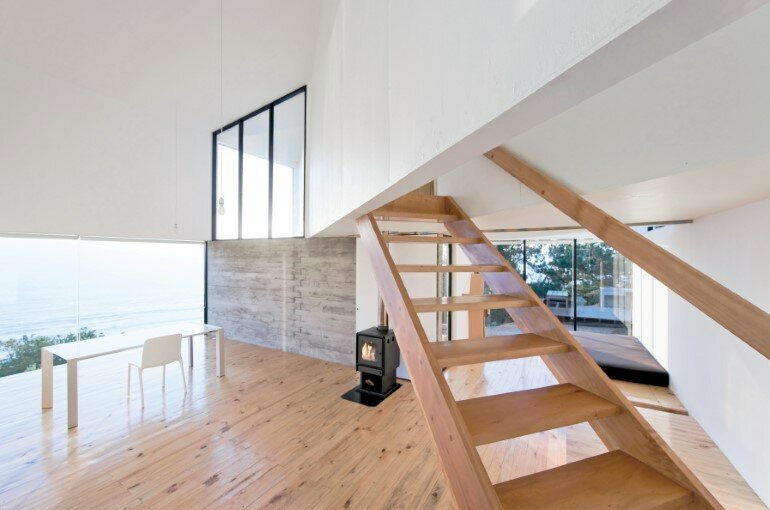 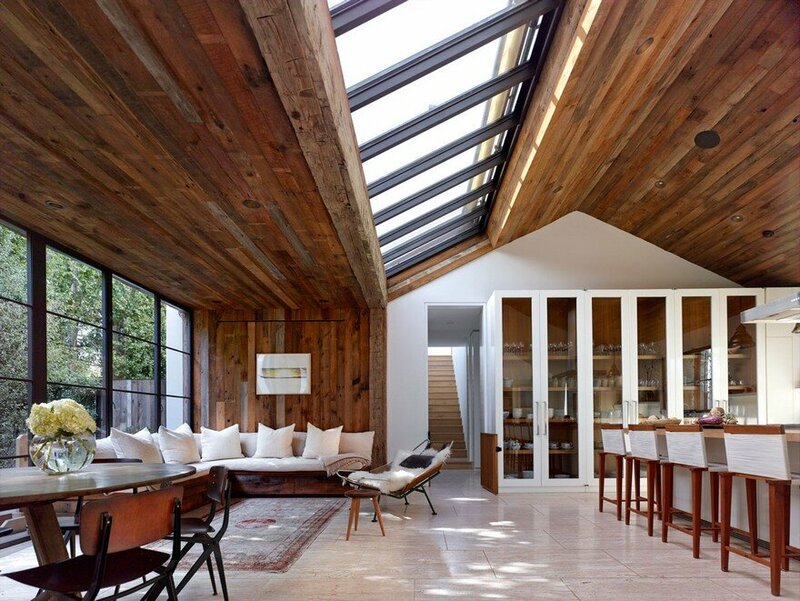 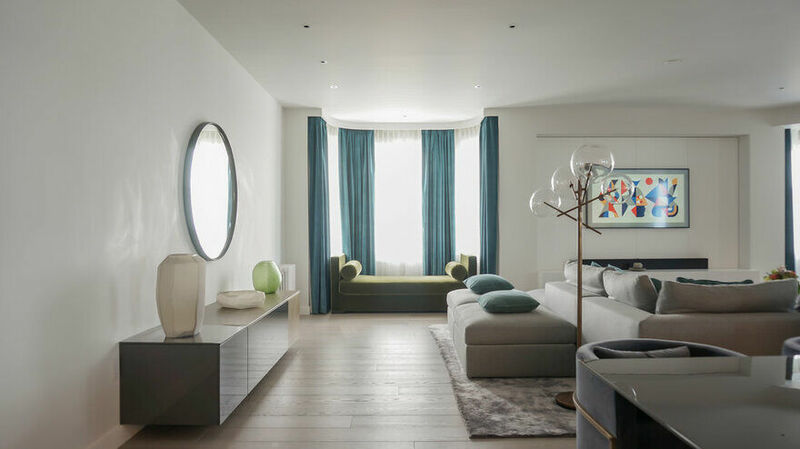 The program is ordered in a simple way, at the first floor a single space for the living room, dining room and kitchen and on the back a sleeping area and the stairs to the second floor. 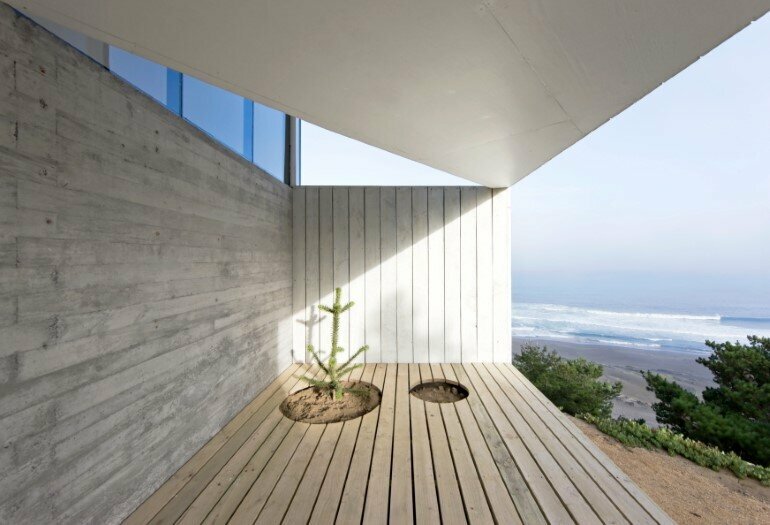 Then, to the side and facing north, the terrace partly enclosed, allowing the users to go outside during days of extreme wind. 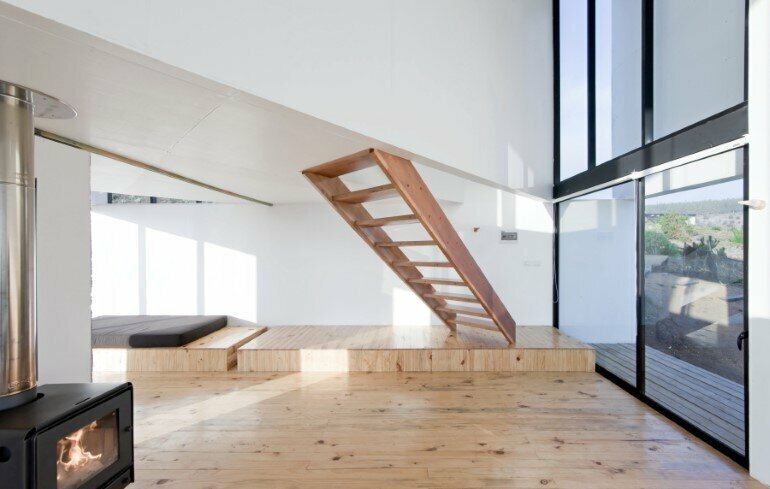 Finally, in the diagonal volume or second floor, the room and the bathroom. 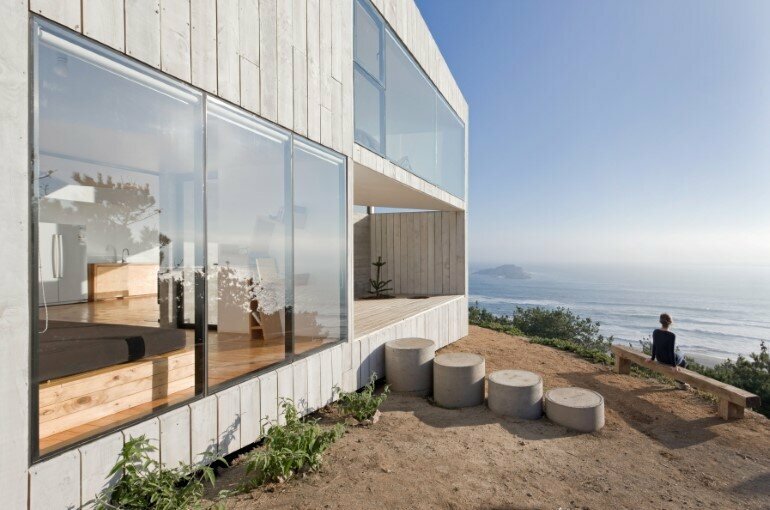 Three defined sectors as the result of the orientation to the panoramic views of the landscape: the isle, the beach and the forest in front of the ocean.